1. Favorite Balm/Treatment? - Nuxe Reve de Miel. This is the best overnight treatment because it is very moisturizing, super thick and applies smoothly. 2. Best Eye-catching Red? - Rimmel Show Off Lip Lacquer in Big Bang. I don't often wear this but it is definitely eye catching. You can't miss the bright, super opaque and glossy finish of this product. 3. 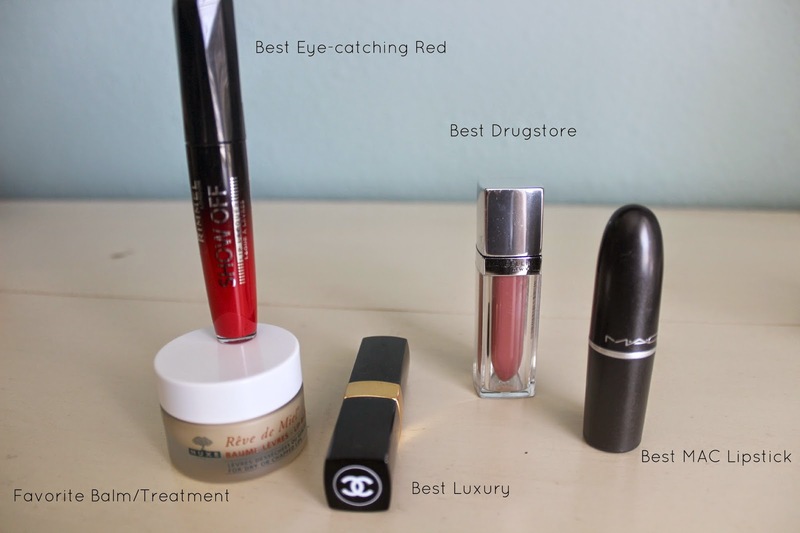 Best Luxury/Drugstore? - Luxury: Chanel Rouge Coco Shine in Boy. The best in my opinion because it is a pricey lipstick but the wearable color means I get a lot of use out of it. Drugstore: Maybelline The Elixir Colorsensational in Caramel Infused. Almost a dupe for my favorite lip gloss (see below). Inexpensive, moisturizing, compact packaging and the color is perfect for an everyday lip. 4. Best MAC Lipstick? - Syrup. Once again a super wearable color that leans more towards a matte look without being a full on matte lipstick. 5. Most Disappointing? - Revlon Lip Butters. I think most people would disagree with me but I find these drying on the lips and don't really have the texture of what I consider to be a "butter." They are also pigmented so it requires more than just swiping it on in a hurry and the pink shade I have has actual flakes of glitter in it which I find odd. 6. Liner - yes or no? Generally no. Unless it is for a red or extremely bright lip. When I do use a liner I use the Lipstick Queen Invisible Liner. 7. Best Gloss? - MAC Cremesheen in Deelight. Probably my favorite lip product ever. I don't need a mirror to apply, it is the perfect everyday color and looks very glossy on the lips. 8. Something Extra? 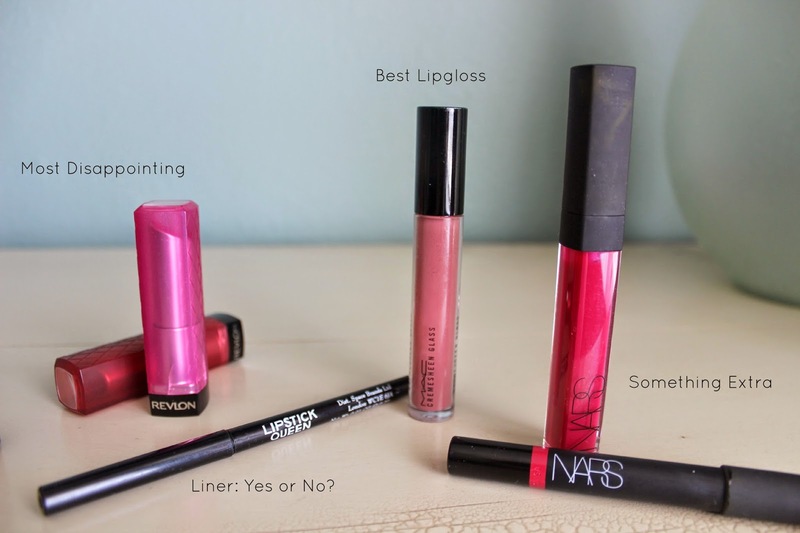 - Nars Velvet Gloss Lip Pencil in Mexican Rose and Nars Larger Than Life Lip Gloss in Place Vendome. Worn together this is my favorite bright lip combination. I get so many compliments when I wear it but I tend to save it for special occasions. However, I think I need to break them out more and give them some love.